Know how to find the right option for your loved one’s needs and safety. If your loved one is showing signs of dementia or Alzheimer’s, you may have decided it is time to explore a better care and living situation. There are many options when it comes to dementia care and it is important to find the right one for your loved one. Fully investigating the options before signing can avert the pain of your loved one having to live in a place that does not meet their specific needs. 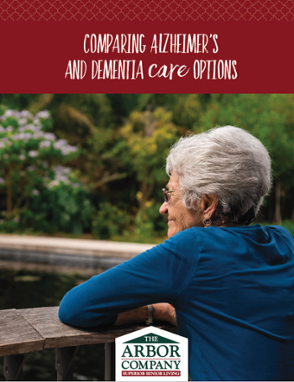 With this guide, you can learn the qualities of different dementia care options. Use the form to download your guide now!